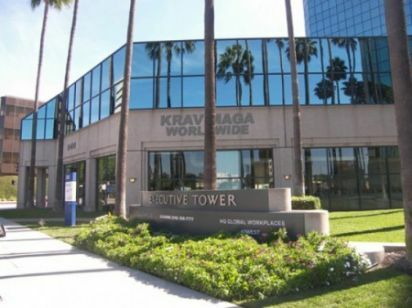 The Krav Maga Training Center, located in West LA, provides an optimal training environment for those looking to study self defense, fighting instruction, and boxing inspired fitness. As the name suggests, the center focuses largely on Krav Maga, the official hand-to-hand combat system used by the Israeli Defense Forces. Students of Krav Maga will learn the correct form of fighting skills used in a practical approach to self defense. 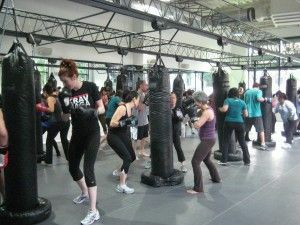 If hand-to-hand combat doesn’t interest you, the training center also offers sessions that incorporate the Krav Maga method, but in the form of boxing and fitness classes. We recently took the KM Bag class and spent our time in non-stop motion, completing a circuit of wind sprints across the floor, a series of intense ab exercises, burpees and lunges with a medicine ball and finally, combos of punching and kicking a heavy bag. The class was intense, but definitely do-able for all fitness levels. We are excited to test out some of the other classes offered…especially CrossFit! I had no idea what to expect when I arrived at the Training Center for my first KM Bag class. I was given a pair of gloves to borrow (yes…it was gross, but I tried not to think about it!) and was told by the instructor to grab a medicine ball 10 lbs or heavier. We began the class by running laps around the room, alternating between sprinting, crawling, shuffling, and high knees. After that, we proceeded circuit-style through a series of upper and lower body exercises with our medicine ball (lunges, burpees, overhead press, push-ups, dips), abdominal exercises, and cardio drills. Then it was time to hit the bags…literally. We put our gloves on and went to work, as the instructor led us through a series of combinations that involved jabs, punches, kicks, and shoulder throws. It was…awesome. I was so inspired by all of the intensity around me (some of the other people in the class were really impressive to watch…and really serious), and I really allowed myself to kick it up a notch when it was my turn to have it out on the bag. Not only was the workout difficult, but it was fun AND an amazing aggression release all at the same time. I was back for my second class 2 days later and can’t wait to return.